I had contacted both my neurosurgeon, Mr Watkins and Simon, the specialist hydrocephalus nurse who is the first point of contact (he’s the go-between between Mr Watkins and his patients) to let them know what I was up to. I didn’t actually expect to hear back from Mr Watkins himself as he’s so busy with surgeries, clinics, conferences and lectures but Simon got back to me straight away with encouraging words and a heads-up about the forty shunts donated by Codman. They’re Bactiseal, which means it’s just the catheter part (the tubing which runs down the body) without the valve attached. When I first read this, I felt like banging my head against the wall but then once I stopped panicking that the whole batch would be useless, I remembered that the surgeons in Kenya are specifically having problems with the tubing of the cheap shunts they are using. They might be able to use them. The actual contact for Codman hadn’t been responding to the couple of messages I had left so I must admit to having a couple of fraught days full of worry. What if Codman changed their minds or just didn’t respond because they’re too busy? What if the shunts would actually be useless? ‘What if’ should be banned from peoples’ thoughts. It’s a pointless and very negative way of thinking because it focuses on nothing but speculation, rather than action. I could speculate for the next ten years about how successful this little venture might be but if I don’t actually do anything about it, it will remain just an idea and not an active project. Having spent the last thirteen years speculating about what I would want to do once out of hospital long enough to actually put my ideas into action, having worrisome ‘what if’ days kind of flies in the face of any kind of progress. So, along with Gloom and Doom, ‘what if’ is , from this day forth, banished. Of course, I needn’t have worried. Louisa, the lovely lady helping me at Codman, called that very day, apologising profusely because she’d been on holiday and had forgotten to tell me. This is another reason I am consigning ‘what if’ to Room 101; it’s totally unfair to the lovely, professional people trying to help me out who would never just not respond because they’re too busy. It may take them some time to get back to me, but they do get back to me. She said that her manager, who was ‘very enthusiastic’ about the idea of actually putting their otherwise discarded shunts to good use, had decided to put the forty shunts promised to me through a final rigorous audit to ensure absolutely that they’re safe to be used by the surgeons they’re going to. Kind man. This happened (I believe) last Thursday so Louisa felt I should receive them sometime this week. I was going to go up in person to collect them from Manchester but seeing as I am in Kingston near Lewes, the fare alone was in the region of £100. Considering the fact that the only funding I have for this project is from my own pocket, I have to be realistic about costs. I can only work part-time because of my condition (full-time work: been there, done that, ended up in hospital from overdoing it) so my finances, although very carefully managed, are – shall we say – limited? Louisa said they’d be more than happy to courier them down to me and that when I’m up Manchester-way in the future (which I will be later this year) to say hello then. Makes sense. Especially as I have no idea yet how much it’s going to cost to fly forty shunts by recorded delivery to Kenya. So at the end of that day I felt a little more on track. Especially when I received a response from Mr Albright in Kenya (the neurosurgeon wanting the shunts) to my email explaining exactly what he’d be getting and could he use them? It was a resounding yes. Hurrah! So the next morning I felt a little bouncy – like Tigger – as I went about my day. I decided to walk into Lewes to do my banking, rather than cycle, as it was such a beautiful morning. Me when anyone tells me they’ve got spare shunts to pass on. The walk is only a mile and a half but it takes me past fields, the newborn lambs (growing quickly!) which I had helped bottle-feed with my friends’ children at the farm behind my house a few weeks earlier and is perfect for either listening to inspirational music through one’s headphones or listening to the soundtrack of nature (especially nice when it’s raining; you can’t beat rain in the countryside for the sounds and smells it produces). Today however, I chose headphone music. Not the Tigger theme tune, I feel I should add. Just as I was striding along, fresh air in my nostrils and not particularly caring who could hear me belting out ‘Don’t Stop Me Now’ by Queen (you may laugh – but it’s perfect for motivation, energy and a general bloody good singalong), my mobile started ringing. Putting the song on hold, I answered the call (from a ‘Private’ number). It was Kat, a hydrocephalus specialist nurse (just like Simon!) from Birmingham Children’s Hospital. I had emailed her about two weeks previously and heard nothing back so I had got on with chasing other avenues. It has become apparent that neurosurgical staff take about two weeks to get back to me. A good guage to go by. Anyway, like Louisa, she was unnecessarily apologetic about the delay in her response and proceeded to tell me what a fantastic idea she thought this project was. ‘Why has nobody thought of this before?’. I am not a hundred percent sure that nobody has done this before actually. I just couldn’t find any evidence of it online and so far all the neuro peeps I’ve spoken to have certainly never partaken in any scheme like it. Kat was so enthusiastic, she could have been a fellow Tigger. She said that she wanted to present the idea in full to a meeting of neurusurgeons and neurosurgical teams which takes place in Birmingham once every so often; the next one is at the end of June. She asked me to forward a full outline in an email for her to read over so she can get some sort of report together. I was very touched by her response to what had been a rather desperate-sounding email two weeks earlier. No one I have spoken to about this has been certain about just how many shunts/valves/catheters they would be able to free up but to be honest at this stage, that’s not so important. What is important is making people who work in the field aware that shunts are being discarded and for every one that is, an opportunity to save a child in need of a shunt overseas has been missed. And even if the department I’m directly liaising with doesn’t have any to spare at that moment, they may know of someone who does have some. They network for me and in doing so open doors which I wouldn’t be able to open alone. It’s these open doors which may lead to other avenues of help which I may not have even considered yet; ‘it’s not what you know…..’. So Kat now has a detailed email from myself and I have a renewed energy this week; hopefully by the end of it I’ll have the shunts. And then I’ll feel things are really starting to get underway. 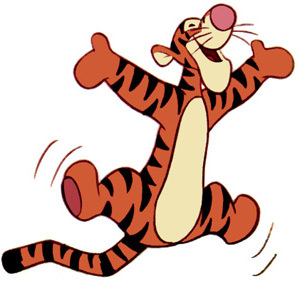 I’d better tone down the Tigger-esque excitement every time something good happens though. It could get really irritating.